Everything we do in our life is something that we had to learn. It’s easy to forget that. 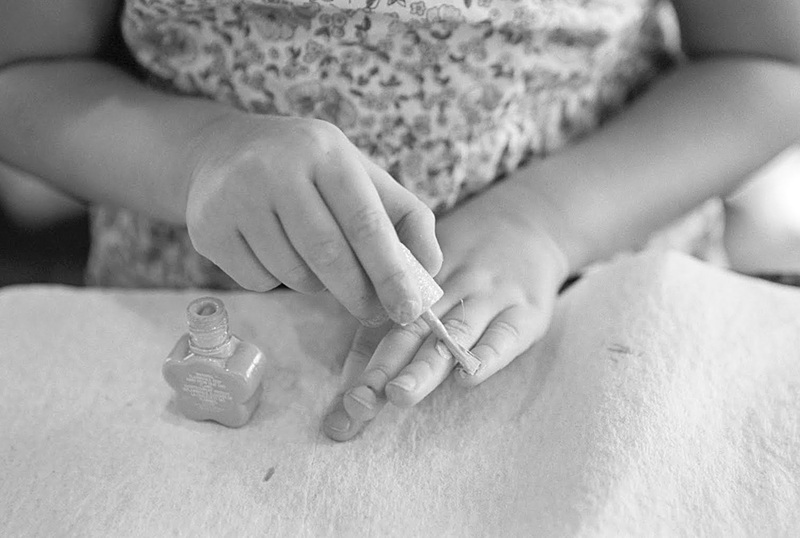 Sam allows our children to learn tasks like painting fingernails with little interruption. I could not do this. I shudder at the mess that Lily could create. It’s one of Sam’s strengths, she is always focused on the goal of raising competent and capable children. I would be more focused on keeping it clean and orderly. This is so adorable!! haha my nails still look like that when I try to do them myself. The look of pure concentration on her face is priceless.